There is a terrible downside to high end watches; that can attract the more criminal parts of our societies to obtain what it not theirs. That means that most brand boutiques and jewelry stores have more security measures then most banks. Before entering them you need to pass through bullet proof glass doors, opened by security guards while being watched by multiple cameras. 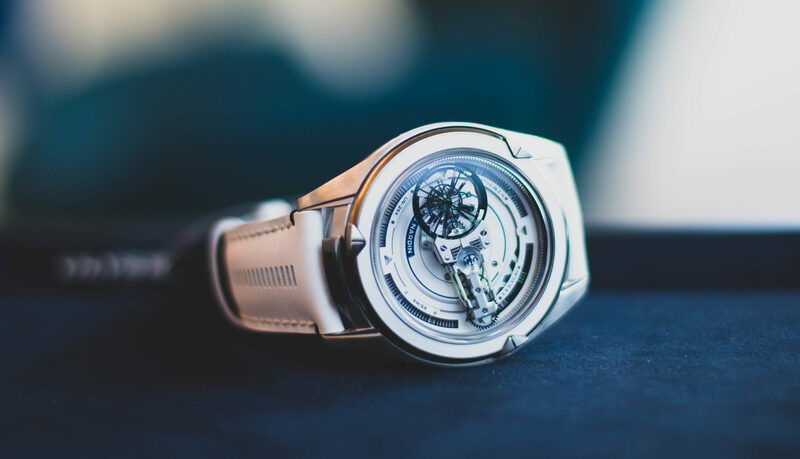 For the high end watch industry it has become an unfortunate aspect of everyday business. Yet it is still a business that is focused on selling their products to consumers, who will ultimately bring their newly, prized possessions home. Not many homes feature bullet proof glass or security guards, but most watch enthusiasts do try to ensure the safety of their collection, and of course their own safety, by means of alarm systems and safes. Safes are quite practical and straightforward, but beautiful is not often a word that comes to mind in relation that comes to them. This results in a huge contrast with the objects that it holds. However, there are ways to go around this. Some manufacturers of safes offer the option to customize a safe, to better match your interior and your lifestyle. 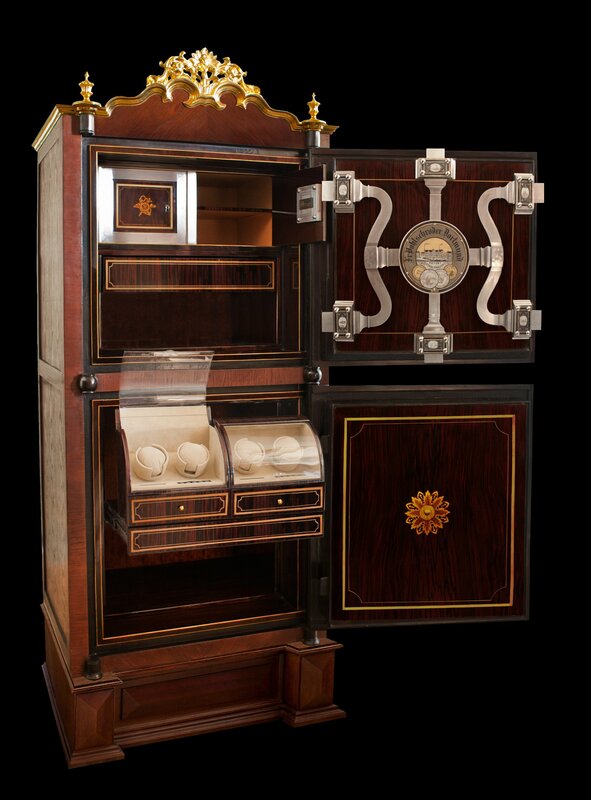 But there is also another way, a way that is perhaps even more appealing, especially to the vintage watch enthusiasts; the purchase of a vintage safe! 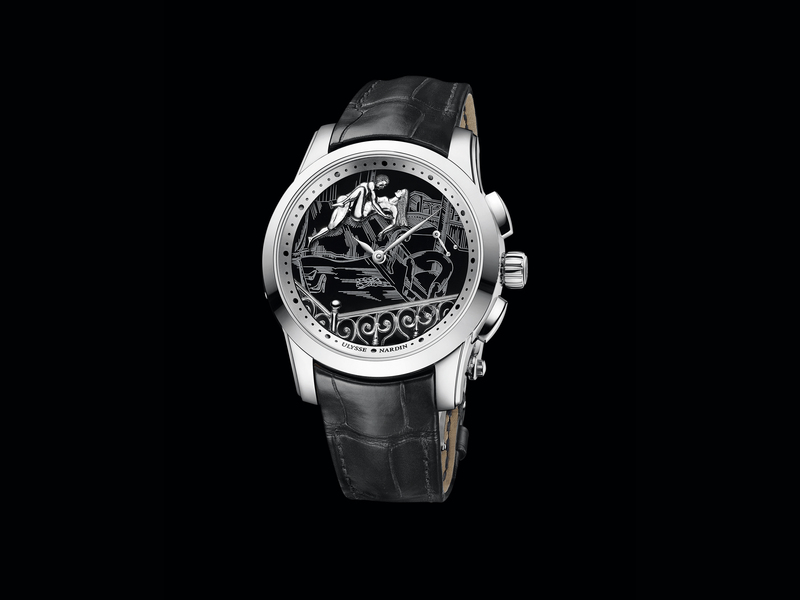 There was a time when safes where made in an artistic way that is actually quite similar to that of watches. In fact, the safes that featured a time-lock where fitted with high quality movements to ensure the lock worked indeed “on time”. The market for safes was also quite different. It was mainly banks, large corporations and wealthy individuals that ordered safes, often custom made. 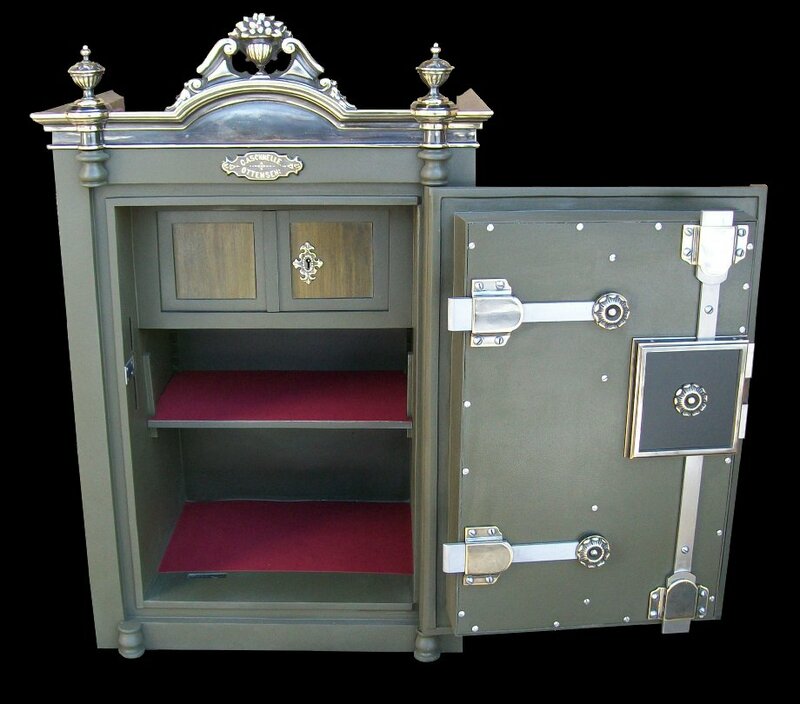 Some of those unique safes are still around, and even offer an enticing alternative to modern day safes. 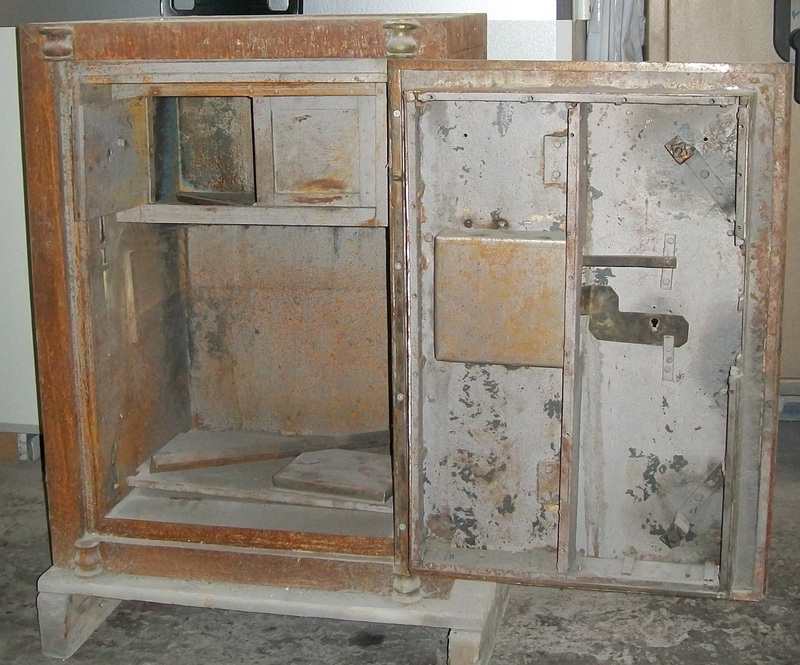 Bastion Plus, a firm located in Poland, specializes in restoring such safes. The restoring process is a most intriguing as well as specialized task. Most of the vintage safes that come in are in a deplorable state, and need to be stripped down before being built up completely. The majority of these safes originated from the nineteenth and early twentieth century, built by companies that are now defunct, meaning that original spare parts are no longer available. This means that sometimes parts of the safe have to be re-designed with new parts crafted by hand to match the old shapes and dimensions, with little room for error and as a result. There has to be paid special attention to the locks. Many of them have acquired layers of dust, dirt and old oil inside them, and will always require a complete overhaul. 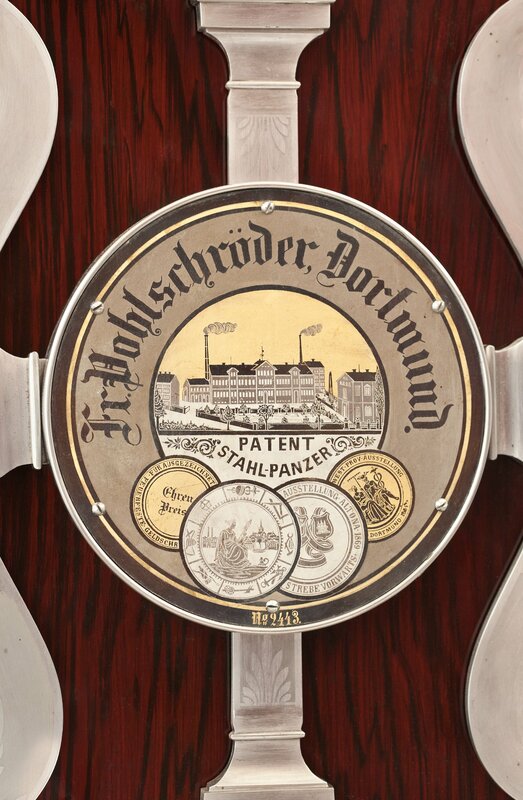 Since before WWII, a country like Germany alone had more than 1.000 manufacturers of safes, who all made their own locks, often even multiple models to fit the different safes they build, you can imagine that this is a very complicated, and specialized, task. A task that becomes even more difficult when parts have broken or even gone missing over time. With restoring the lock, also recreating the keys is often part of the necessary work to ensure the proper functioning of the safe, as well as its safety. But there is more than only the practical side of the safe, bringing it back to working order, but also its visible state. The original paint on these safes is often worn down, peeled off or even gone completely. Painting a safe is not as easy as it seems, since they often feature hand painted lines, and of course hand painted writing of the original manufacturer’s name. It is also not uncommon that some ornaments on the safe were decorated with gold leaf, and of course this has to be restored as well. Depending on the client’s preference, the original color can be restored but there are also alternative options, like applying paint in such a way that it looks like the safe is made from wood. 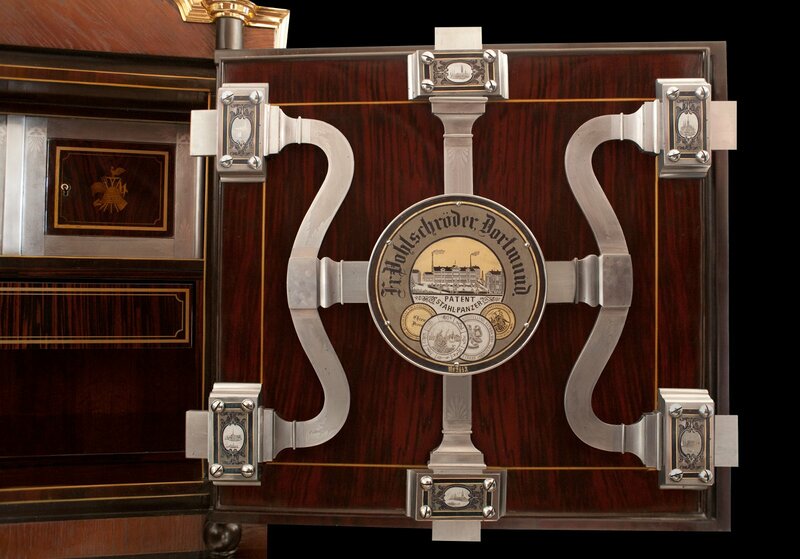 This craftsmanship is time-consuming and rare, but the results are breathtakingly beautiful and you will have to touch the safe to ensure yourself it is made of metal. 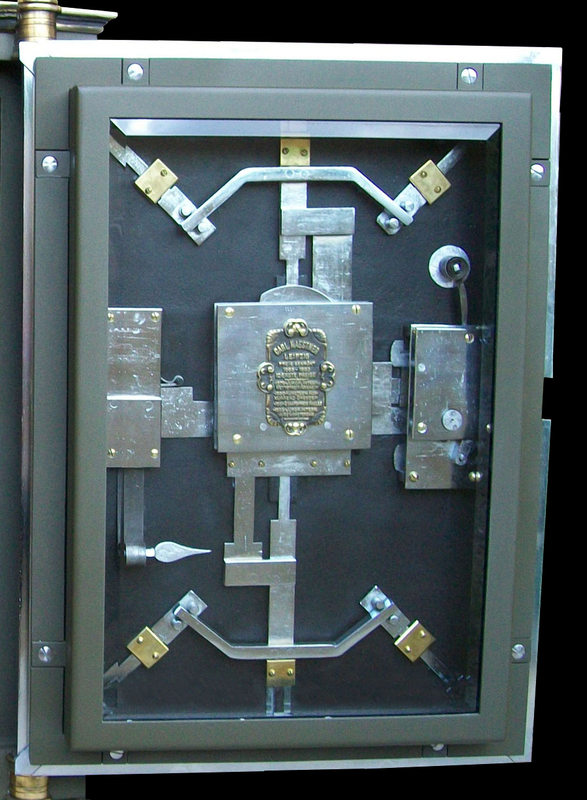 To really make the safe suitable for modern day use, owners can also request custom additions or alternations to the original design or internal lay-out of the safe. These are then crafted and implemented in a way that pays respect to the old masters that created the safe in the first place. The result is a vintage safe, that is an object of art in its own right, as well as a safe haven for your valuable possessions. Most likely it is also one of the very few occasions in which an investment in safety, is also an investment in beauty.